Longtime community activist Kathleen DeBold, now the national administrator for the Lambda Literary Awards, is best known locally for her dynamic leadership as executive director of the Mautner Project. This D.C.–born grassroots service organization for lesbians with cancer grew into a model national lesbian health program advocating for—and bringing hope and healing to—women who were invisible to or stigmatized by the medical establishment. 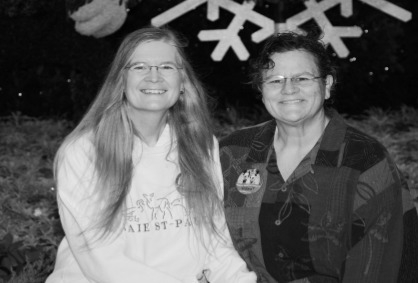 In addition to touching countless lives with its innovative outreach and awareness programs, the Mautner Project brought the healthcare needs of lesbians into the mainstream by educating healthcare providers and advocating for quality health care for all. After earning a B.S. in Agriculture and Life Sciences at the University of Maryland and becoming Maryland’s first female apiary inspector in 1978, Kathleen worked in the Central African Republic as a Peace Corps volunteer and an agricultural extension specialist for Africare. After returning to the U.S., her deep love for our community’s history and literature led her to the (then D.C.-based) Lambda Literary Foundation, where she found a niche as a writer, cartoonist and puzzle creator. In addition to writing the marketing copy for the popular lesbian publisher Naiad Press, she also created the first LGBT-themed syndicated crossword puzzle, Wordgaymes, which appeared in dozens of community publications including the Washington Blade. Kathleen is a strong believer in volunteerism and has donated her time and talents to dozens of local and national organizations including her current service with the Barbara Deming Memorial Fund (the oldest ongoing feminist granting agency) and the multicultural lesbian literary and art journal, Sinister Wisdom. In addition to a 2015 Community Pioneers award, Kathleen has been recognized as an LGBT and social justice leader with the Women’s eNews 21 Leaders for the 21st Century Award, An Uncommon Legacy Foundation’s Uncommon Woman Award, Gertrude Stein Democratic Club’s Justice Award, D.C. Capital Pride’s Pride Hero Award, D.C. LGBT Center’s Distinguished Service Award, D.C. Black Lesbian Support Group’s Honorary Colored Girl Award, WOMO’s (Women’s Monthly) Community Service Award and the Washington Blade’s “Most Committed Female Activist” and “Local Hero” designations.